The transfer window is generally a disappointing time for Leeds fans. The summer brought rumours of Smith, Bowyer and Woodgate, and finished with Rachubka, Brown and O’Dea. Whilst two of these three have turned out to be serviceable players, the departure of several others rendered that particular window in a negative light. Already club captain Jonny Howson has departed in January, and rumours still abound about the loss of several other players. For fans, however, there are three key players, linked with other clubs, that for various reasons they’d be particularly distraught about losing. Here I explore these, and why. In discussions about Leeds, there have been accusations at various points this season that Leeds have been rendered a one-man side. Analyst and Leeds United legend Eddie Gray has often said at the end of games that he’s whenever Snodgrass doesn’t play, whether this is due to injury or he doesn’t ‘play’, having a poor game, he’s convinced Leeds are unable to get a result. Snodgrass is undoubtedly Leeds’s best player, and he has shown himself to be a wonderful example of a modern inside winger. 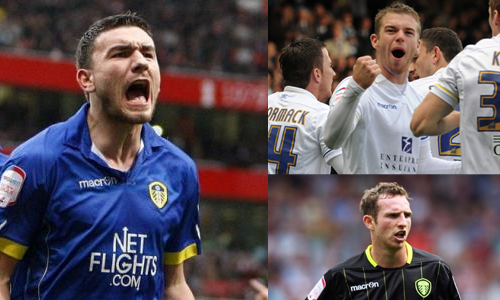 Playing on the wrong foot, Snodgrass finds himself in a right-wing role. With enough tricks to fool even the most competent of full-backs, Snodgrass will often find himself cutting inside to provide provision balls, or put the ball in the back of the net himself. Leeds fans already knew of his ability as a provider, but this season he has already scored 4 more goals in the league, having played 15 games fewer. As both a goalscorer and a provider, he is therefore key to the manner in which Leeds play. With rumours throughout the window that he is departing, and concrete offers for him having taken place in the summer, there is a constant fear that Snodgrass will depart. Last season, when Adam Clayton made his debut against Derby County whilst on loan from Manchester City, it looked as though the young midfielder would be completely unable to control a bag of cement, never mind a football. Therefore, when Leeds found themselves in the position of naming him a first-choice central midfielder after the departures of Bradley Johnson and Neil Kilkenny, fans were rightly concerned. For those who tracked him through the reserves and two loan spells last season, however, they will have been aware of the great change that occurred. No longer a weak-looking young central midfielder, Clayton has often been responsible for the bite in the Leeds midfield. For a significant part of the early season, Clayton was Leeds’s best player, and looked a class above the rest of the team. Whilst his form has dipped somewhat, he clearly has the potential to play in a better league, and with Leeds particularly weak through the middle, the 23-year old Clayton would be an incredible loss. Already linked to Bolton, those in charge at other clubs have clearly taken notice of this young upstart. There is an odd occurrence that takes place on a nearly bi-weekly basis at Elland Road. The right winger of the opposition, known throughout the league as a speed-based player, will knock the ball past the Leeds left-back. The away fans will rise, cheering their man on as he seems set to beat the young player to the byline. Suddenly, however, a dawning realisation will occur. Their man cannot beat Aiden White. White will easily beat him to the ball and deal with the danger. A prospect who came through the academy, White has spent years on the fringes of the Leeds set-up, finally becoming a first-team player this year. Blessed with bags of pace, White has shown himself to be an immensely talented left-back. The problem, however, is that his contract will run out in the summer, and there has been little word as to the potential for renewing this. White could possibly be the sort of left-back Premier League clubs covet, and given his pace, he could easily be crafted into a player in the mould of Gareth Bale by the right top-flight manager. Given the contract situation, Leeds fans are therefore concerned the club will either cash in on the academy product, or simply allow his contract to wind down. Honorable mentions: Ross McCormack, Tom Lees, Luciano Becchio. 42. To the average hitchhiker, this is the answer. To Leeds United fans, it may turn out to be the same. Mere days after Leeds United announced the sale of captain Jonny Howson, Ken Bates used his slot in the programme notes to reveal part of the logic behind the club’s finances. Bates, facing up to accusations that he has been in charge of a regime that has underspent at Elland Road, announced that this year, Simon Grayson was permitted to overspend on his budget by an entire £2 million, therefore leading to him suggesting that logically, he was most certainly backing the manager. This led to a total spending of £11.5 million on the playing side of Leeds United. Enough, you might suggest, at a cursory glance. The issue comes, however, when the rest of Leeds United’s murky finances are considered. At the club, turnover in 09/10 was £27 million, which, given the lack of financial success of the various ventures Bates has attempted to institute around the club (Yorkshire Radio, Howard’s Restaurant, the Hotel in the future), was essentially exclusively the responsibility of fans purchasing the division’s most expensive tickets, merchandise and the country’s most expensive programme. To these fans, the most important aspect of Leeds United is success on the pitch. This is where that number becomes important. Of that £27 million of hard earned money ploughed into the club by the fans, a mere 42% is spent on altering what occurs on the pitch. The rest disappears into the previously mentioned various ventures, and £5 million falls into a column called ‘other’. Obviously at a club such as Leeds, with the history of unsustainably ‘living the dream’, it could be considered reasonable to curbing spending on the playing side of matters. However, the logic simply doesn’t work. In League One and League Two, as announced at the beginning of this season, a wage cap of 60% of turnover is set to be instituted. This is what the Football League regards a sustainable level of wage to turnover, and is worthy of praise. Bates himself backs the new system. Leeds United, however, spend 42% not just on wages, but the acquisition of players as well. At the most extreme end of the hypothetical scale, therefore, Leeds United can only possibly at most spend 18% less than the conservative estimate for a sustainable football club. When the minimal transfer outlay of the club is also included, it becomes obvious that Leeds are spending well below their potential on players. This leads to what Leeds fans are becoming increasingly riled about, the departure on an annual basis of the club’s best players. Jonny Howson was, until a few days ago, the club’s 23-year old homegrown captain. In the years prior to this one, Leeds have already allowed players such as Max Gradel, Bradley Johnson and Jermaine Beckford to leave the club due to ongoing contractual disputes. In Bradley Johnson’s case, there were suggestions he left in order to allow improvements to the club’s squad, but given his current position in a team 9th in the Premier League, this does not seem logical. The outcome that most Leeds fans fear is the continued drain of talent away from the club, without improvements taking place in the squad. Rumours already abound that Robert Snodgrass has ended negotiations as the club refuse to give him parity with the best-paid players, despite the fact that often Leeds only look a threat when he is involved. Aiden White, a young left back who came through the academy, looks on the verge of leaving as his contract slowly runs out, and wages offered apparently don’t come close to reaching the level expected by a first-team player at a Championship club. 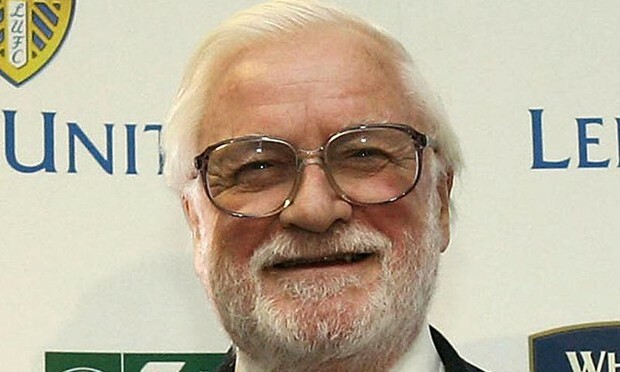 Ken Bates will continually attempt to use his bizarre set of logic to bamboozle sets of Leeds fans into his fold, but the reality is that by anyone else’s measures, Leeds United fans are having 58% of their funds diverted away from anything they care about, into a mysterious black hole that is to the interest of only one, bearded, man. (NB: The figures refer to two different seasons. Bates’s estimates regarding turnover last season are around £30m, and whilst they may fall this season, it is unlikely they will drop below the League One turnover levels used in the article). Follow me on twitter (@awinehouse1). Are you interested in further issues in the footballing world caused by problematic owners? Read James Thornton’s article on the shares issue surrounding events at Huddersfield Town. For the newest article by Amitai Winehouse, read his thoughts the leaders of ‘Team England’.